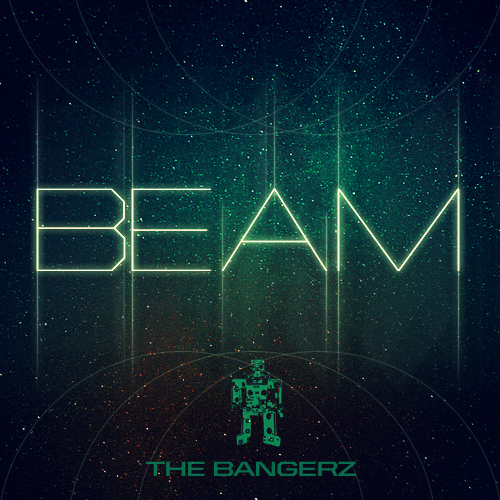 Last week TheDankles.com premiered the first single, “Beam,” from six-man DJ and producer team The Bangerz, who are gearing up to release a brand new LP, entitled PRiSM, on June 25. Known primarily for their parties, turntablism skills, and bass-heavy remixes on Soundcloud, this new project shows off a different side to them that’s rooted in their melding of hip hop, dubstep, and dance music. Hailing from California, The Bangerz, formally known as The Fingerbangerz, have an impressive list of accomplishments and highlights punctuating their storied career, including holding titles from the ITF (International Turntablist Federation) Western Hemisphere Team Championships and the DMC Regional Championships, scoring original music for ad campaigns for global brands, The Simpsons video game, and MTV’s America’s Best Dance Crew. Crew member Relay has collaborated with numerous artists including Diplo, Kelis, and with Chris Brown on his single “Look At Me Now.” In addition, The Bangerz have cultivated an international fan base and toured with artists across many different genres, including Afrika Bambaataa, The Clipse, ?uestlove of The Roots, Raekwon, Ghostface, Kid Koala and The Rapture. Currently, their music is being featured in two Microsoft commercials and they’re serving the official musical directors and scored all the music for the Las Vegas stage show at the Luxor performed by AMDC Season 1 winners The Jabbawockeez. As a taste of what the PRiSM LP will offer, “Beam” is a high energy track featuring lush and etherial synths syncopated with booming distorted bass and a popping synth melody, combining elements of dubstep, house and trance, setting the perfect mood for the coming sizzling summer months. Please contact Michelle or Dan if interested in talking with The Bangerz. The Bangerz, a six-person production supergroup of Goldenchyld, Replay, Nick Ngo Bangerz, Cutso, Squareweezy, and G-Wrex have evolved over time, but their roots are in Northern California where the crew met as DJs in high school. They quickly made a name for themselves, winning multiple turntablist competitions and crossed paths with then unknown dance crew, the Jabbawockeez. Before long, the Jabbawockeez were turning to the Bangerz to create all their original music – something that was almost unheard of in 2003 – and kept them close while they went on to win MTV’s America’s Best Dance Crew and set up their first Vegas show. Mus.i.C, the sin-city score to that Vegas show was produced entirely by the Bangerz and charted right behind Daft Punk’s Tron on iTunes upon its release. Combining DJ skill with slick production that spans multiple genres from house, trance and dubstep to hip-hop, pop and R&B, their innovative approach to their material has served The Bangerz well, propelling them to numerous career highlights collectively and individually, including group member Replay producing tracks for Diplo, Kelis and Chris Brown. Individually, the Bangerz have made their name as dancefloor conductors for years. Members have performed with Afrika Bambaataa, the Clipse, WuTang’s Raekwon and Ghostface Killah, Kid Koala, shared tour routes with Z-Trip, and played alongside Major Lazer and Odd Future at festivals like New Orleans’ Voodoo Fest. But with the growing popularity of melting-pot electronica where 808s and hard synths reign supreme, The Bangerz have once again found their expertise ready to shine. In the past year, the group was solicited by the director of Project X to produce a track for their anything-goes party soundtrack, and are currently preparing to release their next album, also the score to the second Jabbawockeez Vegas show, entitled PRiSM, due out June 25.